South Africa has become one of the biggest markets for illegal cigarette sales and loses out on seven billion rand a year in potential tax revenue, a report funded by a tobacco industry group said. The study by Ipsos found illegal cigarette trade spiked between 2014 and 2017 after a probe into the underground industry was dropped by the SA Revenue Service (SARS) under suspended commissioner Tom Moyane. Moyane, an ally of former President Jacob Zuma, is the main focus of an ongoing SARS commission of inquiry into allegations of widespread corruption at the tax agency under his watch. He denies any wrongdoing. “After I left (in 2015), there were no inspections at cigarette factories. It was planned,” said Ravele. A packet of cigarettes should incur a minimum tax of 17.85 rand, yet packs are sold on the black market for as little as five rand as manufacturers dodge official sales channels to avoid paying tax, the Ipsos study found. Three-quarters of all South Africa’s informal vendors – totalling 100,000 – sell illegal cigarettes in an industry worth 15 billion rand over the last three years, the report said. “Independent superettes‚ corner cafes and general dealers are the key channels for ultra-cheap brands‚ with hawkers providing a key entry point‚ through loose cigarette sales,” Ipsos head of measurement Zibusiso Ngulube said. 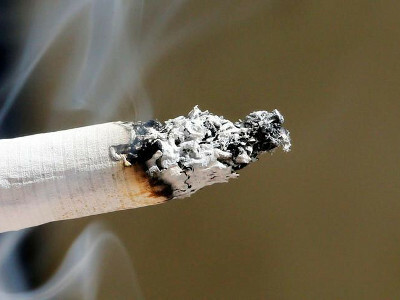 The study was funded by The Tobacco Institute of Southern Africa (TISA), which includes arms of global manufacturers Philip Morris International, Alliance One and British American Tobacco.